She was talking about her electric bicycle. Ironically, she’d never heard of e-bikes until I suggested she buy one. Shannon learned to ride when she was 11, but for the next 30 years or so, showed no interest in bicycling, except to comment on observations she’d made from behind the wheel of her car. During those years we enjoyed lively conversations about bicycling. If Shannon asked my opinion, I’d give it. Otherwise, I tried not to proselytize. I’ve been an avid transportation cyclist for years, but I’m well aware that this is a tough sell to most Americans. Adult bicycling education is an even tougher sell. 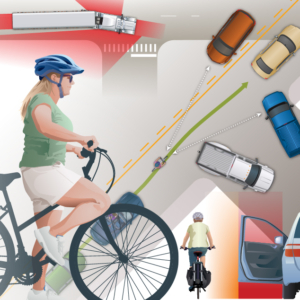 Savvy cycling makes transportation cycling a no-brainer. Yet you don’t learn this stuff overnight. 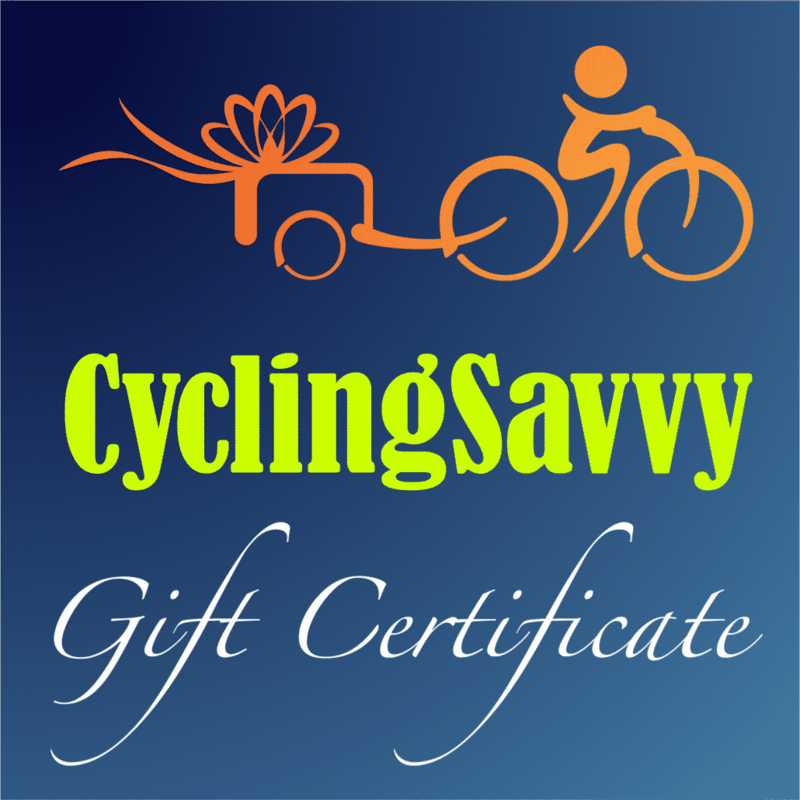 Savvy cycling needs to be experienced. Then it takes time to process what you’ve experienced. There’s a lot to absorb, and deep cultural conditioning to overcome. So, I didn’t push my love of cycling on my sister. But then, out of the blue in the Spring of 2016, Shannon called with shocking news. “I bought a bicycle,” she said. “Really?” I responded. Nothing she could tell me would have surprised me more. Once Shannon decided to get a bike, education was an easy sell! Shannon is the kind of woman who becomes an expert at anything she sets her mind to. She read voraciously about bicycling and signed up for CyclingSavvy Online (there were no CyclingSavvy instructors in Nashville at the time). She loved the online course so much that she decided to travel to St. Louis to take an in-person workshop. 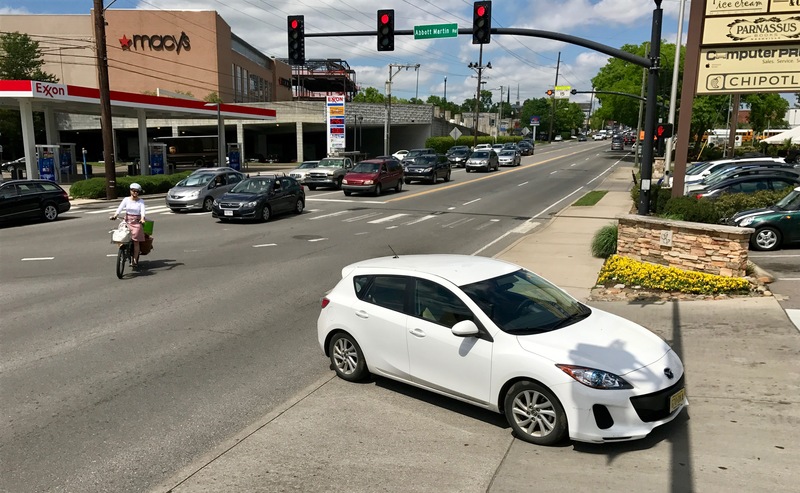 Shannon discovered for herself 1) the tremendous control she could have over her safety while riding and 2) that it was impossible for her to significantly delay motorists. Trust me, she tried. One of her vehicles is a recumbent tricycle. You have to change lanes to pass those things. 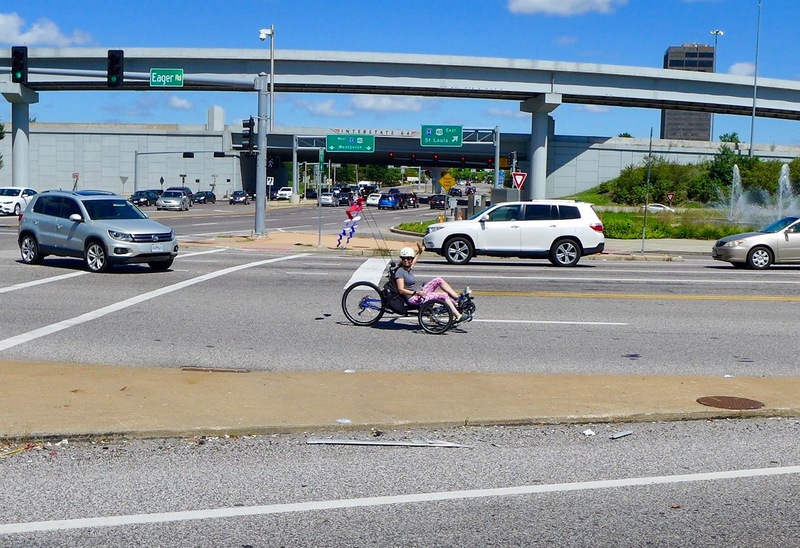 In traffic-choked Nashville, she figured that she could get to her office almost as quickly on her bike as in her car. She was ready to ride everywhere. 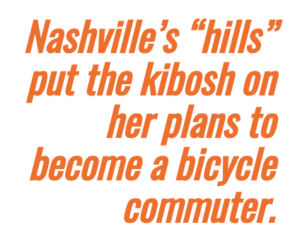 Then Middle Tennessee’s “hills” put the kibosh on her plans to become a bicycle commuter, at least temporarily. Nashville features gorgeous mountainous terrain, a challenge for anyone who commutes by bike. Shannon has no shower at her office. She didn’t want to carry multiple sets of clothes, and needed to look professional when she arrived. I suggested she consider an e-bike, even though I knew next to nothing about them. She researched various brands, and rode e-bikes in New York City and Nashville. She decided to patronize a local dealer, and bought not one but two: a cargo and a commuter. 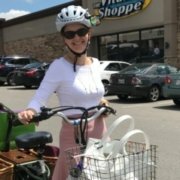 I loved hearing about her adventures with each e-bike, which served very different purposes. When I went to Nashville last April to celebrate Shannon’s birthday, we rode her e-bikes around town. I wasn’t “sold,” though. I was captivated. E-bikes aren’t replacements for bikes. They replace cars. They can move you across town, and over steep hills, at higher speeds with less effort while still offering clean, low-cost transportation. What a tremendous opportunity to change the conversation about transportation, and maybe finally make bicycling normal in America. But there’s a catch many people don’t realize. 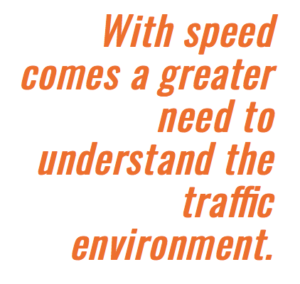 With speed comes a greater need to understand the traffic environment: sight lines, door zones, blind spots, and common motorist mistakes caused by underestimating speed. Without this understanding, an e-bike may be just as likely as any other bike to gather dust in the garage after a few close calls. This is why the engagement of CyclingSavvy and e-bike owners needs to happen, and it can’t be a moment too soon. 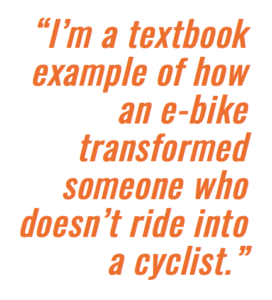 “I am a textbook example of how an e-bike transformed someone who doesn’t ride into a cyclist,” Shannon said. Now that I’ve told you some of Shannon’s story, I want to tell you mine. But that’ll have to wait until next week. While pondering how to make the shidduch of e-bike owners and CyclingSavvy, I did some Googling. It hopefully won’t be news to you that personal automobiles are a major cause of global warming. But do you truly appreciate how shockingly inefficient cars are at getting us anywhere? 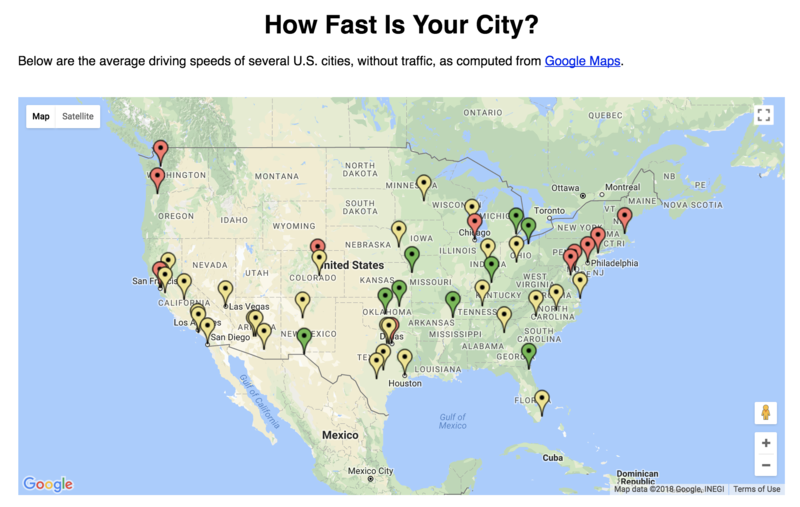 How fast is your city? If you click through, you’ll likely be surprised at how slow motorists are in cities. Your e-bike can get there just as quickly.